Winter season has come! Our new product of the year is “Message-neon”. “EVERYDAY IS A NEW DAY” This is the words of Ernest Miller Hemingway, one of the greatest novelists in the US. 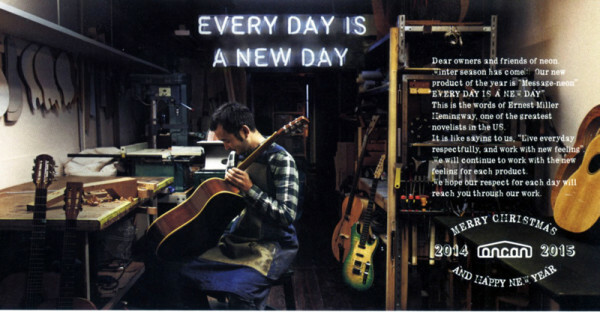 It is like saying to us, “Live everyday respectfully, and work with new feeling”. We will continue to work with the new feeling for each product. We hope our respect for each day will reach you through our work. Copyright © MAVERICK All Rights Reserved.